This photo from 2004 shows Al Franken during the time of his radio career interviewing U.S. Senator Hillary Clinton on the final day of the Democratic National Convention in Boston, MA. 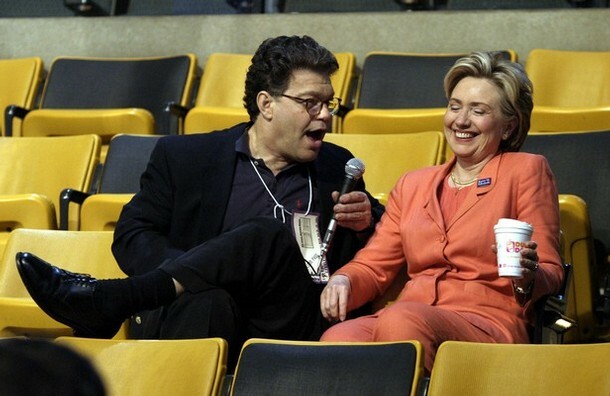 Tomorrow (Tuesday) Clinton visits the University of Minnesota to campaign for Al Franken in his bid for U.S. Senator in Minnesota.